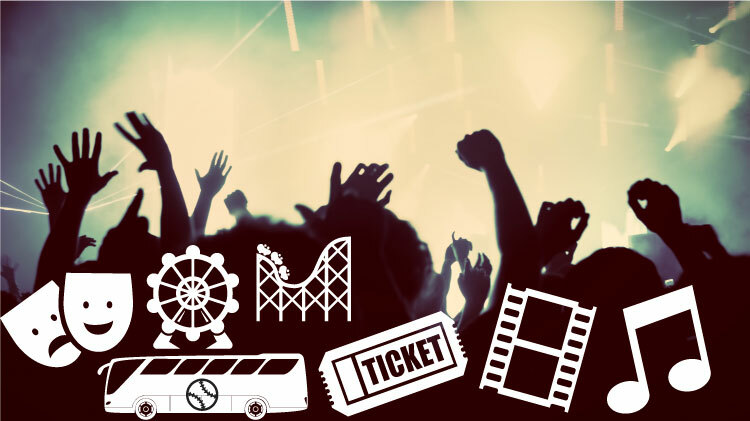 We offer substantial discounts on tickets to local attractions, concerts, amusement parks and regional bus trips to exciting destinations. Check with us first for all your entertainment needs, we can save you money! 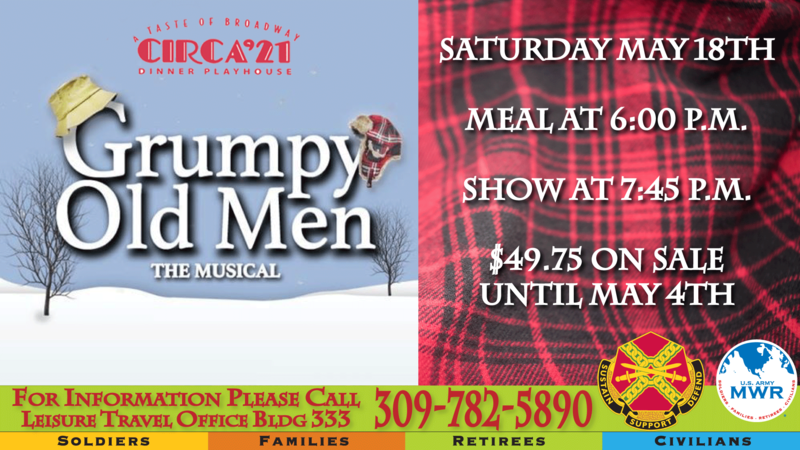 Purchase a gift card for $27 that is redeemable for 2 adult movie tickets and $10 at the concession stand. Discounted single movie tickets can also be purchased for $9. 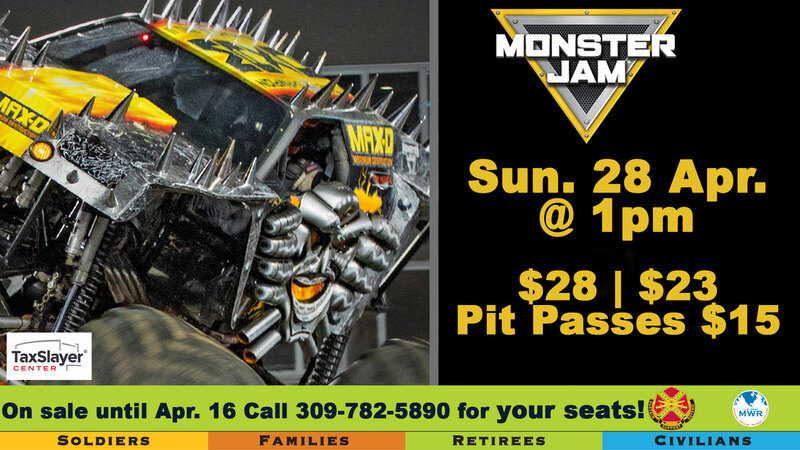 Purchase discount tickets for $9 that are redeemable anytime with no restrictions or expiration. We've got the tickets to the shows you want to see at these great local venues at discount prices. Check with us first! 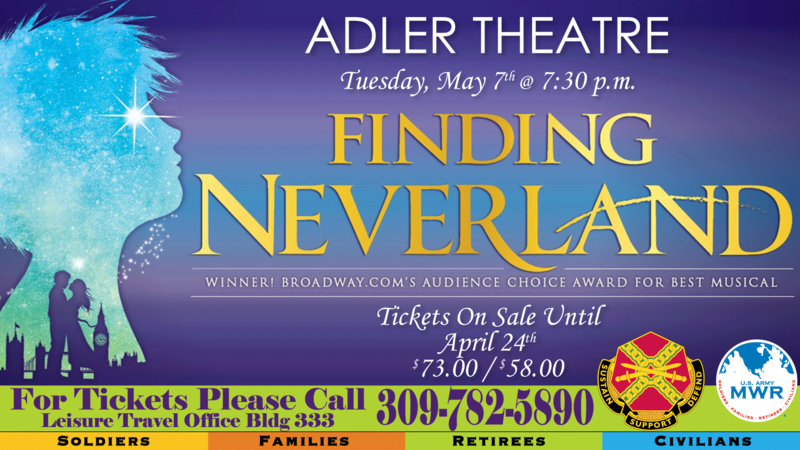 Make sure to check the Featured Events listings at the bottom of this page for all current ticket offerings. Take a one-day trip on a deluxe motor coach on one of Leisure Travel’s out of town trips. Make sure to check the Featured Events below to see where we're headed next! 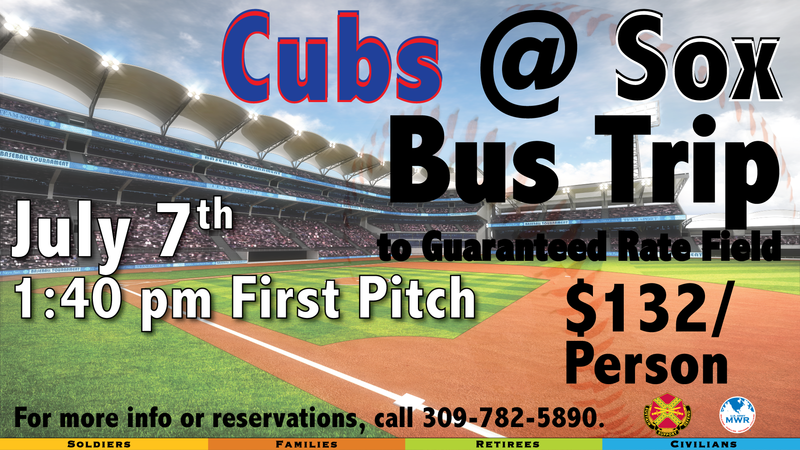 We regularly schedule trips to Cubs’ games, downtown Chicago for shopping, festivals and sightseeing, Chicago theater productions, theme parks and more. Where would you like to go? 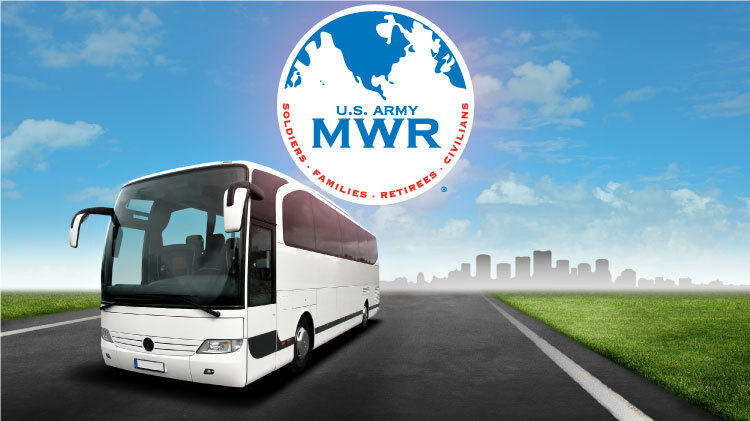 Email us at usarmy.ria.imcom-central.mbx.usag-mwr@mail.mil to submit ideas for Leisure Travel’s next bus trip! Purpose: To establish guidelines for all participants of the MWR LTO bus trips. These guidelines will ensure the safety and comfort of everyone on board. Scope: These guidelines/rules apply to all participants on the MWR LTO bus trips. To assure prompt arrival time to the scheduled event, the bus will leave at the pre-announced scheduled time. Participants are required to be at the designated boarding site 15 minutes prior to departure time. A courtesy call will be made to all participants one week prior to the scheduled event informing them of the departure time and place. Participants must be on time. There will be one 15-minute stop on the way to the destination and one 15-minute stop on the way back (to be determined by the MWR representative on the bus). All participants will be allowed one small cooler which should fit under the seat. If a participant shows up with a large cooler, they will be asked to return it to their vehicle prior to departure. Limited amount of alcohol will be allowed on the bus. No glass containers will be allowed, all coolers will be inspected. Smoking is strictly prohibited at all times on the bus. Participants are required to remain seated, unless to use the restroom. Participants are asked to refrain from loud, obscene, or offensive language. The MWR LTO bus trips are family-oriented and participants must consider others on the bus. Absolutely no fighting or rough-housing is allowed. The MWR representative has the right to remove at anytime anyone who has become belligerent, abusive, or intoxicated. If a participant is asked to disembark from the bus, that person will have to arrange return transportation at his or her own expense. Shop Leisure Travel for your discount amusement park and attraction tickets. Get great rates for Six Flags, Disney World, Sea World, Medieval Times and much more! Universal Studios Orlando Ticket Information. 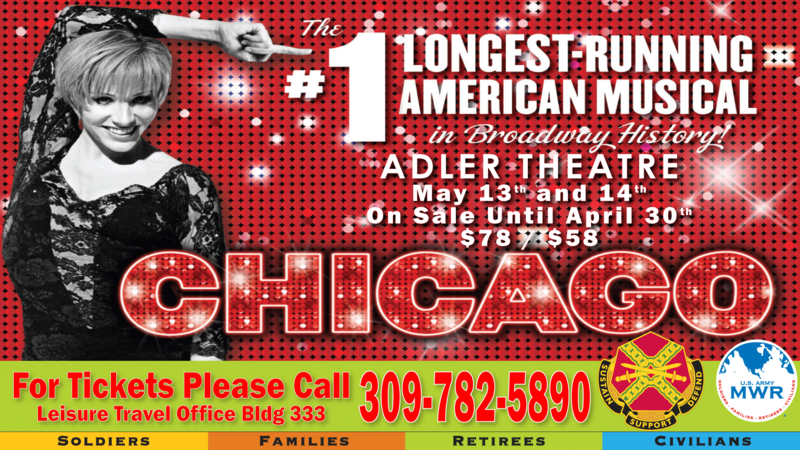 Please call for current pricing, +1(309) 782-5890. 4 Days for the price of 1 special for DoD. Start your dream vacation search here!! 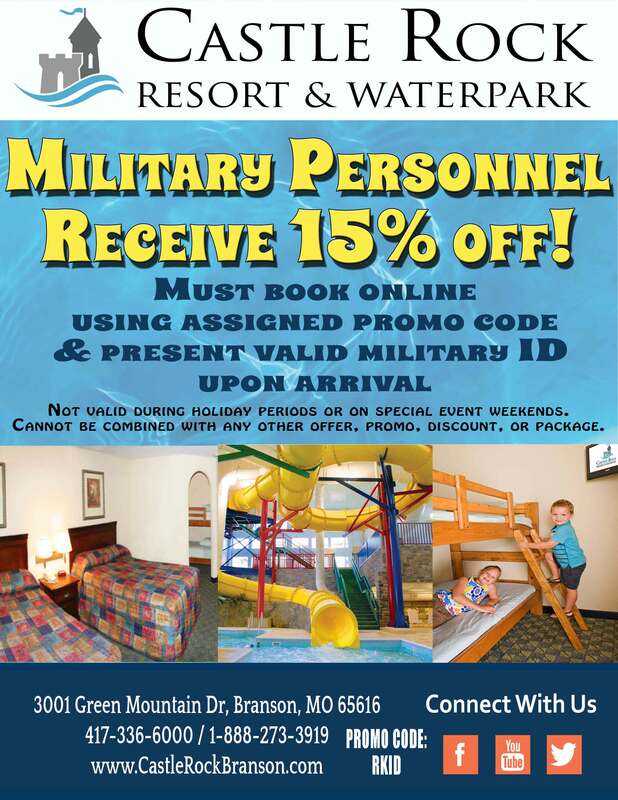 Choice Hotels Offer 15% savings to Military members who join their membership program. DoD Civilians are eligible for this 15% discount as well but, not the membership program. Click here for details. Your Leisure Travel Office is the best place to start planning your dream vacation or getaway. Our knowledgeable staff are the best source for information about theme park tickets, museum passes, tours, national park admission and historic site tickets. Our offices are also where you can find out about the best hotel rates, airfares and cruise packages – many with discounts you won’t find anywhere else. Start with a visit to our office to plan your next vacation. Active duty military or a family member. Member of the Reserve Component or a family member , which includes Ready Reserve, National Guard and ROTC cadet. Retired military or a family member. Veteran with 100% service-connected disability, honorably discharged. DOD APF/NAF civilian employee, retired DOD civilian or a family member. DOD contract personnel or technical representative who works full time on the installation. Non-DOD federal employee working on the installation. From any other category identified in Army Regulation 215-1, (contact the office for clarification). Family members are established as in accordance with Army Regulation 640-2 as being a lawful spouse…children under the age of 21 and unmarried…children over the age of 21 to the age of 23 who are enrolled full-time in an institution of higher learning as long as they remain unmarried and dependent upon the sponsor for over 50% of their support.